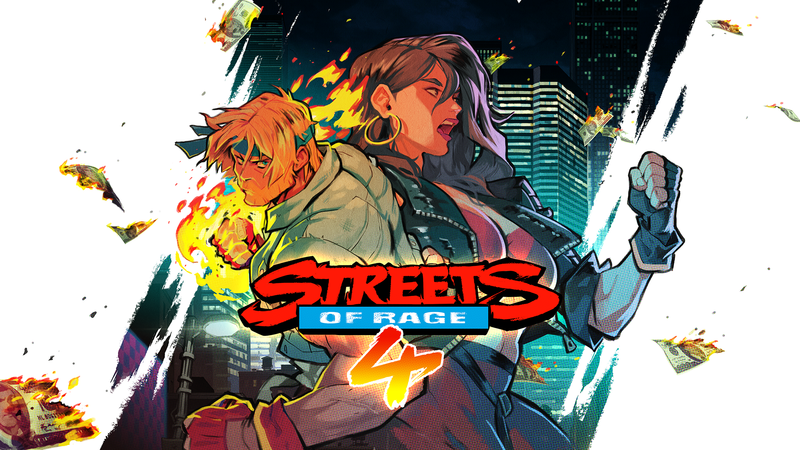 DotEmu, a Paris based games developer known for modern remasters of classic titles from Street Fighter II: Classic to Metal Slug is now taking the helm of contemporary revivals for classic SEGA and SNK titles in Streets of Rage 4 and Windjammers 2, respectively. With the assistance of designers from Lizardcube and Guard Crush Gamers, each title set out with the goal of breathing modern life without compromising what made their predecessors some absolute favorites of their time. Sam and Ryan discuss what made these games so legendary, and what the goals are moving forward to update their sequels and find new audiences. Sam Carpenter, TYF Staff Writer: I just got a chance to play Windjammers 2 and it was quite fun! What inspired a lot of the fun mechanics in this game? Jordi Asensio, Game Designer at Dotemu: Well. The first Windjammers was one of my favorite childhood games and it was so fresh. I love the fast-paced action and all the special moves because you can play the game and only scratch the surface of what all the advanced techniques are. Sam: The original Windjammers came out quite a while ago right? Sam: So, what inspired you guys to make a sequel so far after the original? Jordi: Well it’s still a popular game now, especially in France. It’s a game I was always playing because it’s such a true classic. So, it would’ve been a shame if this new generation didn’t know about the game. It was only natural to bring them the first game with online (On PlayStation 4 and Switch) and then slowly evolve the concept. It’s always hard to make a sequel to an already perfect game to me. So, we tried to stay true to the spirit and add only Windjammer mechanics and make it feel very arcade-like. Sam: How did you guys go about making this feel like the first game? Jordi: We actually reengineered the first one to see how the physics were working, see how the animations were chaining together and to see all the formulas in the game. We discovered it was a pretty complex game and that’s why it’s so classic and feels so good. Sam: Is there anything you’re planning on adding or expanding on from the original? Jordi: One thing we’re adding is a meter. The first game was missing a long-term strategy element. So now you’ll be building a meter and you can use it whenever you want to do a super move. It’s something you have to manage like stamina. We added some sort of reversal move which we call a “slap shot”. If you anticipate the trajectory of the disc you can hold the A button to charge a “slap shot” and do a reversal move. Sam: It definitely sounds likes you are doing justice to the original. Do you have an idea of when Windjammers 2 is going to be out? Jordi: We did not announce a release date window yet, so you’ll just have to wait and see! Ryan Gibbs, TYF Music Editor: I know you guys do re-releases of older games, remasters, can you tell me a bit about your history with SEGA and Streets of Rage? So they were already in a very good relationship with SEGA, because of Wonder Boy, so it was a breeze to get the license, they had the trust already. Ryan: Was SEGA involved at all with the game (directly)? Ryan: so there’s a lot of new stuff in Streets of Rage 4? Ryan: So you’re talking about the specific sets of special moves for the characters? Ryan: The story for Streets of Rage 4, does it pick up following the other Streets of Rage games? Bo: Yeah, it continue where the third one left off, it’s really a sequel… we’re doing that. Unlike some people are thinking, it’s not happening 25 years later, it’s only 10 years later, so it gives us some kind of interesting change of setting… But, it’s not so long that they’re like Grandads. Ryan: Who did the music? Ryan: That’s fine, so what do you hope fans of the original can take away from this new one? Bo: We hope… they’re finding the fun they had, what they remember of Streets of Rage, but in a current game that is as fun, as responsive. If you’re used to playing especially the 2nd it can be easy to get back into it. Ryan: What were some things you took from the first and third game as opposed to the 2nd? Bo: Weapons were a little more useful in the third one, but they also had life. So, there’s little things like that. We tried at some point, the sprint that was in the third one, but then we realize it breaks the gameplay. Ryan: can you tell me about the animation style? It’s very similar to the SEGA games and it has a cel-shade to it. Bo: It goes with Ben Fiquet, his background as a comic book artist and animator so you don’t do something with and decide to go with big fat pixels, it would be a waste. Also, it’s in line with the old game, and making it current. It wouldn’t be current if it had the big pixels. At the time what they wanted to do is something that looks good. It wasn’t a pixelated style that much. Ryan: What was the biggest piece of advice SEGA gave you for this game? Bo: Oh, I really can’t tell one big piece, it’s all additions of small incremental things. Ryan: How often were you in contact with SEGA? Bo: It’s hard to tell, but we sent them versions every month or two months. But other than that we’ve exchanged emails.